Laura “Michelle” Holowaychuk Harmon nee Elgert passed away peacefully surrounded by her family on Wednesday August 29th 2018, at the Kamloops Marjorie Willoughby Snowden Hospice, at 57 years of age after a valiant battle against cancer. Michelle was born in Vancouver, on May 11th 1961, and spent most of her growing years in the lower mainland. Her father, Arnold Elgert, was a commercial fisherman and his boat was named “The Laura Michelle”, after his daughter. In 1989 she moved to Barriere with her young family. It was always her dream to raise her 4 girls in a place they could always call home. Michelle loved the North Thompson Valley, and the small-town charm and close knit community of Barriere. Michelle was a friend to all, and always had a kind conversation, and words of praise, or wisdom to share with those around her. She was known for her kindness, bright smile, and colour coordination. Michelle was the proud mother of 4 girls, a step daughter and son, foster mother to several children in need, and a babysitter to countless children of all ages. Michelle’s warm heart reached out to any in need. She enjoyed helping friends and strangers wherever the opportunity arose. She was bold and forthcoming, not afraid to set things right. She was a great cook, a knitter, crafter, barrette and corsage maker, and she loved being a mother and nana more than anything in this world. She also loved pansies, and white ducks with blue ribbons, she was a lover of good music and danced beautifully to any rhythm. She was an incredible woman of unbelievable strength who survived a turbulent life of trials, but always held her head high with a hand held out for those who may need it more. 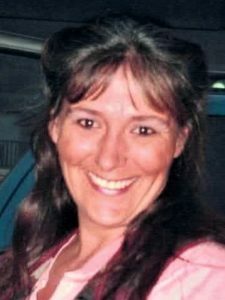 Michelle is survived by her 4 daughters, Natasha Verra Ellen Holowaychuk, Kassandra Rose Rohs (Kevin Rohs, and grandchildren Garrett, Gradyn, Gavin), Hayley Mya Marie Mumby (Stacey Mumby), Kayla Dawn Holowaychuk (Ben Beaver, and granddaughter Elleanor), and step daughter Lisa Marie Schwan (Dave Schwan, and grand children Keplar and Grace), and step son William Cody Harmon. As well as her sister Debra Harapnuik, and sister Lisa Elgert. Those fortunate enough to be close to Michelle in life will feel her absence everyday from now on. They will remember her fondly with a smile at the sight of a pretty flower, the tune of a familiar song, the laughter of children, and the memory of her insightful words of loving wisdom. A Celebration of Life was held in Michelle’s honour, hosted by her children, at the Barriere Seniors Centre on Barriere Town Road, next to the Fadear Park Bandshell, on Saturday September 29th at 3pm. Friends and family shared memories and thoughts of this wonderful person who left too soon. In lieu of flowers, donations can be made to the wonderful staff and facilities of the Kamloops Marjorie Willoughby Snowden Hospice Home.